excuse the sorry state of my eyebrows, im growing them out to get HD brows & a higher arch! 001. Went to my Granny's house for a Christmas dinner type affair, We're spending Christmas at my Auntys this year so we though we'd have a pre-christmas dinner at hers! She really does the best roasts! I'm absolutely stuffed! 002. Have my 4 hour speed awareness course tomorrow boo! Was doing 35mph in a 30mph zone, but I'd rather do the course than get the points. I'm pretty bummed about it really as its the last thing I want to be doing so close to Christmas! But ya know, do the crime yaddayaddayadda. I'm going to try and make a quick dash around Hereford for the last of my Christmas bits and bobs! I still need a Christmas Day dress as nothing is right! 003. I've blogged everyday this week on both my blogs which I'm really proud of! Sometimes I feel like I blog way too much and should really cut down! But oh well, I like to think people like that I post daily?! I guess I just love posting and sharing stuff! Running out of things that I've tried to review for ETC LLYMLRS so I've gotta get raiding my to review box! I find that I review things I'm really excited about first then reach for the rest after! 004. 25% off and free first class UK shipping on all orders from my shop till midnight using the code "LASTORDERS". 25% off is valid on non-UK orders too, but not with free shipping, just use the same code. With a bit of luck you should get your package before Christmas, but currently my packages are taking 3-5 days, which is beyond my control unfortunately. Any orders placed after midnight tonight (GMT), wont be shipped until till the 28th December, I will put this notice up on my shop too. Absolutely all orders placed before this will have be posted tomorrow. 005. Ooh just realized next weeks Sunday post will be a Christmas day one! Woo! Awww bless you lovely, all the best for your course tomorrow. Your eyes look stunning! Such a nice colour. Good luck dress hunting. i love it to read everday some of your words. i think my boyfriend is ordering some of your jwlry stuff for me, as a christmaspresent yaaay <3 love the rings! unlucky with the speed awareness! i have my test day after tomorrow, second time round! i love that lip colour, it's so pretty, who's it by? Sorry to hear you have to do a speed awareness course lovely, my chap did one the other month for travelling along at the same as yourself - he said course was yawn-boring so good luck with staying awake. Speed cameras are buggars! Can't believe Christmas is so close now yayy! pretty pic and good luck with the course! I like it when bloggers post daily its nice to have something new to read :) Well jealous of your early Christmas dinner,I look forward to it all year haha! Hope the speed awareness course isn't too boring! My boyfriend did exactly the same thing a few weeks ago and has his coming up soon, definitely agree that the course is better than 3 points on your license! Bad luck on the speed awareness course, but at least it's only 4 hours, I hope the time flies (although I'm sure it won't). wow your make-up is gorgeous! 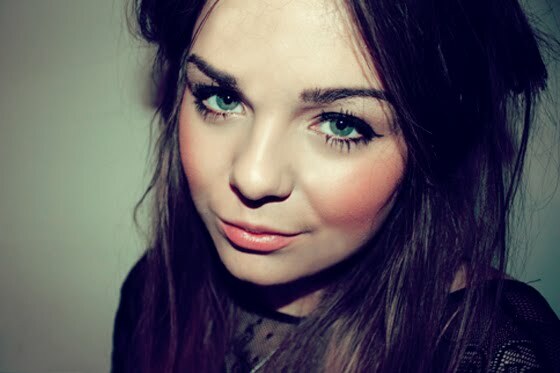 Lovely makeup in your photo, very pretty blush colour! You definitely don't blog 'too much', I really enjoy your daily post especially as they're varied and always useful and/or interesting! Nobody does a roast like a nan does, right? Hahaha. Hope that speed awareness thing isn't as boring as it sounds for you tomorrow! Merry Christmassss! I love how often you post! You look gorgeous, loving those flushed cheeks. i love the colour of your blusher! i really like that you're blogging every day! Enter christmas giveaway and win a vintage charm necklace! Gorgeous photo! Love the blush you're wearing here.